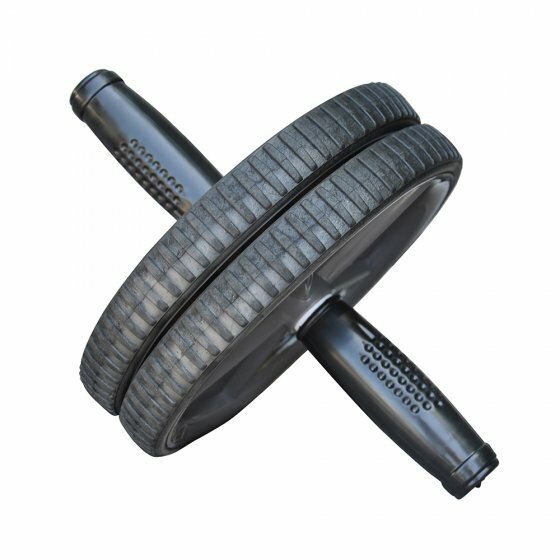 For an effective core workout and toned mid-section, the Xtreme Elite Ab Power Wheel is an inexpensive option that's easy to use and delivers results. Start from a kneeling position while gripping the handles with both hands. Place the wheel in front of you, positioned under your chest. Slowly roll the ab roller forward, stretching your body into a straight position. Use your core to push you forward and roll you back. Don’t roll forward so that your arms are completely straight, or it may be too difficult to roll back. Roll slowly and keep your abs tight at all times, stop, then roll backwards. For a more advanced workout that targets the obliques, roll the ab roller from side to side in a diagonal motion.